Little picture questions account for a huge amount of the questions on ACT Reading. Of the 4 publicly available ACTs I surveyed, between 25% and 50% of ALL Reading questions were little picture questions. So what does this mean for you and your ACT test prep? It means that it is well worth your time to make sure you can consistently answer little picture questions accurately and in a reasonable amount of time (what "reasonable" is will depend on the score you're aiming for). 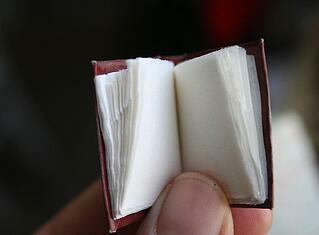 tiny books by kelly taylor, used under CC BY-SA 2.0/Cropped from original. What Are Little Picture Questions? Little picture questions are questions that ask you to find specific details from a passage. It's not like when my class was reading Great Gatsby in school, and I cared approximately ZERO about the different colors of Daisy’s dress and the green light and all that stuff that we had quizzes on “to make sure we did the reading.” The ACT asks you about details that are vital to understanding the passage (even though you don’t necessarily have to read the whole passage to find these details). For example, you might be asked what the milky blue that appears around the edges of older dogs’ eyes signifies (cataracts), but you will not be asked what color it is, all on its own. Because little picture questions use so many of the skills the ACT sets out to test with its Reading section, if you can master little picture questions, you’re well on your way to mastering many of the other question types as well. I’ve divided up little picture questions into two levels. Level one questions only involve going back to the passage in order to identify the correct detail/fact. Level two questions, on the other hand, require you to gather multiple details/facts and then take that information a step further. Questions on this level are the most basic the ACT gets: you basically have to go search out the information that answers the question. These questions can be further subdivided into two categories. For these questions, you're given a line number and asked to find the detail to answer the question. Depending on how complicated the passage is, some vocabulary knowledge may prove necessary (more about vocab-in-context here); if there is a word you don't know, however, context clues can often be helpful. "Lines 42-44 indicate that another composer took over Mozart’s work in order to:"
"Information in the second paragraph (lines 37-42) establishes that a change of one semitone translates into a frequency difference of..."
"Information in lines 33-42 reveals that the public’s response to the conductor’s errors in the performance was to..."
"The author indicates that the common factor in the events and periods listed in lines 50-54 is that they"
"By his statement in lines 41-45, the author most nearly means that during the Classic period:"
For these level one questions, the information needed to answer them is somewhere in the passage. Sometimes the location is narrowed down to a few paragraphs or general areas like “the end of the passage,” but on occasion even that information is not given. Because these questions require you to do more searching than questions for which you are given specific location information, "Find the information in an unspecified place" questions are often relatively simple. You may need to do a little paraphrasing from text to answer choices, or you may be looking for the exact same words in the text. How can you be sure that questions asking you about information in a non-specific place are little picture questions, not inference or big picture questions? Because of the way the questions are phrased. Inference or big picture questions will have the phrases "It can be inferred from the passage" or "The passage suggests," whereas little picture questions will be more direct. See below for some examples of how little picture questions have been phrased on past ACT Reading sections. "According to the narrator, which of the following organizations is relatively new to her hometown?" "According to the passage, one of the woman’s worries about her present situation is that she..."
"According to the passage, news reports attribute the flugelhorn player’s knees buckling to..."
"The passage states that Leonard Bernstein believed the relationship between an orchestra and their section leaders should be:"
"Which of the following statements about the galant style is best supported by the passage?" Rather than "It can be inferred from the passage," little picture detail questions will include phrases like "According to the passage" or "The passage states." You're not being asked to make assumptions based on the text - you're being asked to look for answers that are directly in the text. I almost always do these level one little picture questions first when I start working on a passage. For me, hunting for the details gets me acquainted with the passage without having to read (and are easy points!). How you go about it, however, will depend on your reading strategy and, above all, on what works best for YOU. 1. Start by figuring out what the key information the ACT is looking for in the question. Take the following sample question. 2. Next, figure out where in the passage that information is (if you aren’t told outright) and read the relevant section slowly. You can try to quickly answer the question in your own words as well, even though the answer choices are sometimes taken word-for-word from the text. Putting the answers in your own words helps prevent you from falling into “I recognized the general phrasing so I’ll just choose it” trap (when in fact the ACT has sneakily reversed the meaning on you). 3a. If you tend to read the passage thoroughly first, I would recommend answering big picture questions before moving on to little picture questions. That way, you can answer questions about the whole passage before getting lost in the details. 3b. If you read the questions first, and don't think it will disorient you and make it harder for you to answer other types of questions, absolutely start with these questions and knock ‘em out of the way. 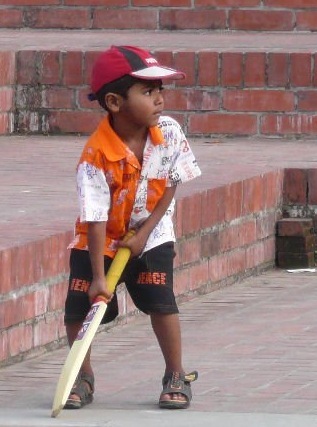 World's best batsman and his mommy by joiseyshowaa, used under CC BY-SA/Cropped from original. Knock those questions out of the way like you are a small child playing cricket, and those questions are the ball. Look, it's...it's not a PERFECT analogy. Let's go back to the previous sample question for a moment. To answer this question, you can scan the article for the words “Sigwarth” and “new comet theory” (either mentally or with your finger on the paper as you read, whichever is more effective for you). There's no need to read the entire article first. 3c. If you skim the passage, then answer questions, it could go either way. Skimming a passage can help you form a mental map of where certain details are more likely to show up, making it easier to answer detail questions; on the other hand, it can also give you enough info to get the big picture questions out of the way (just as if you'd read the passage all the way through). You'll need to experiment to figure out which way works best for you. These questions will ask you to find multiple details across a passage or within a specified series of lines, then compare these details in one of two ways. These types of little picture questions ask you to find the thing that is NOT true/NOT specifically described in the passage. They will typically appear at least once a test. "According to the passage, Aaron Copland believed that “American music” should include all of the following EXCEPT"
"The author cites all of the following as causes of the unified musical style during the Classic period EXCEPT"
"Which of the following is NOT listed in the passage as an element of the Classic period?" These (relatively rare) questions ask you to choose the answer choice that lists a series of details in a particular order, or that match a particular criteria. The skill set you need to answer these types of questions is similar to that needed for "EXCEPT" and "NOT" questions; the main difference is that ordering and list questions are actually a little easier, because their answer choices tend to be more lengthy, and you only need to know that part of an answer choice is incorrect to be able to eliminate the whole thing. "According to the passage, which of the following cities is the last one Armstrong is said to have lived in?" "Which of the following most fully lists solutions considered by the author to the problem that the list of beloved women conductors is not nearly as long as the list of beloved men conductors?" "According to the frequency data presented in the passage, the audible ranges, from largest to smallest, of the following instruments is..."
1. Just like the strategies for answering level one little picture questions, the strategies for answering level two little picture questions involve finding the key words in the question, finding where the information is in the text, and reading the question carefully. 2. The process of elimination is also hugely helpful with these questions – if the text directly contradicts an answer choice, you can cross it out with no worries. The sentence below is excerpted from an official ACT practice test and includes line 76-beginning of line 80. "Consider, for instance, the food crises that engulfed Europe during the Little Ice Age – the great hunger of 1315 to 1319, the food dearths of 1741, and 1816, “the year without a summer” – to mention only a few." The first question is level one (you’re given lines and asked to paraphrase), while the second is level two (an "EXCEPT" question). If you’ve already answered the first question, you’ve been focusing on the part of the passage that will help you with the information you need to answer the second question, which will then make that question easier to answer. Of course, these sorts of companion questions are not always right next to each other/in order, so don’t assume that answering questions in order will help. If you don’t remember exactly where you read the relevant information, however, you can always refer back to the first question, which may (as it does in this case) give a specific line number. 4a. If you read the passage thoroughly first, you might find it easier to start with these level TWO detail questions. Your memory will be fresh, so it will be easier to confirm that the “except” or “not” answer did not appear in the passage, or in what order events occurred. Once you've got those out of the way, you can move on to level one detail questions. 4b. If you read the questions first, then look at the passage, I’d suggest doing level ONE little picture questions first. As I said above, this can give you a better picture (har har) of the way the passage is laid out. Once you have a mental map of the passage's structure, you'll have a better idea of where to look for the details mentioned in the answer choices (whether you need to put them in order of occurrence or figure out which answer choice is NOT present in the text). 4c. If you skim first, then answer questions, it can go either way. The mental map you create as you skim the passage might help with confirming some details to be true/knowing where to look for the details...but it also might get you bogged down in detail too quickly and make it harder to answer big picture questions. 5. Ultimately, you need to do some trial and error on your own to figure out which way of reading the passage is most effective for you, and which questions you should answer first. This includes completing full ACT Reading sections as well as full length practice ACTs. The strategy you get the most points with is the one to go with. To finish, I wanted to do a brief walkthrough of my thought process (in italics) for answering a question from an official ACT practice test. a source of sorrow while the other is a source of pride. based in the family while the other is based in the self. inherent in the environment while the other is inherent in the individual. a sign that the individual can improve the world while the other is a sign that the individual can’t. Key words in this question: “diminished excellence” and “flawed competence.” And “difference” (since I need to figure out how they’re different). I’ll search for those in the last paragraph of the passage. Okay, time to go to the last paragraph. "The whole time I work I wait to see where the screw-up is going to come. I imagine what my colleagues will be saying about me in the hallways. Did you know that Bryant built his shelves so they tilt? Did you know that Bryant’s books rejected the color he painted his shelves? But the screw-up doesn’t appear. I paint the shelves red, and they look O.K. (Granddaddy Bryant once painted yellow a whole row of company houses he built.) I paint a chair blue and red, and it’s a little silly-looking, but it picks up the blue of the carpet and the red of the shelves. The vision isn’t nearly as impressive as I thought it would be, but then what vision ever is? We plan-makers are accustomed to things turning out not-quite-as-good-as-we-had- in-mind. Our world view includes the “diminished excellence” component. Diminished excellence is a condition of the world and therefore never an occasion for sorrow, whereas flawed competence comes out of character and therefore is frequently the reason for the bowed head, the furrowed brow. Three months later, when I try to turn the heat off in my office, I discover that I have placed one of the shelf uprights too close to the radiator to be able to work the valve. The screw-up was there all along, but in this case I am relieved to find it. I am my grandfather’s grandson after all." So I see the phrase “diminished excellence” twice and “flawed competence” once nearby…I’ll read that section closely. "Our world view includes the “diminished excellence” component. Diminished excellence is a condition of the world and therefore never an occasion for sorrow, whereas flawed competence comes out of character and therefore is frequently the reason for the bowed head, the furrowed brow." How are they different? Well, for starters, “diminished excellence” is external (a condition of the world) and so you shouldn’t be sad, while “flawed competence” is something different (uses the word “whereas” to indicate a contrast) that makes you sad (bowed head, furrowed brow). What are the answers again? based in the family while the other is based in the self. Says nothing about family – it’s either based in “world” or “character,” neither of which is “family” in this context. So eliminate. a sign that the individual can improve the world while the other is a sign that the individual can’t. There’s stuff about the world but nothing about improving it, so no. 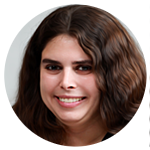 Review: It certainly helped that I knew the definition of inherent, but it was not critical; even if I couldn’t positively identify H as correct, I would have been able to show that F, G, and J were incorrect, which would have left me with H in any case. Just in case you hadn’t gotten enough of little picture questions, I’ve compiled a couple of different passages with some questions to answer. The answer key is up here, so you can scroll back up after you’ve finished the questions to check your answers. 1. Which of the following questions is NOT answered by the information in the passage? F. Has the narrator ever walked around inside Eugene’s house? G. What hobby or interest do Eugene and the narrator share? H. What makes Eugene’s house different from other houses on the block? J. What careers other than teaching has the narrator considered pursuing? 2. The narrator draws which of the following comparisons between the old couple and Eugene’s parents? A. The old couple were more socially outgoing and had many more friends than Eugene’s parents. B. Eugene’s parents are just as interested in tending the lawn and flowers as the old couple were. C. Eugene’s parents are less nurturing of each other and spend less time together than the old couple did. 3. According to the narrator, which of the following statements was true about Eugene at the moment when she first talked to him? F. Due to the size of the school, he had not even noticed the narrator until she started talking to him. G. He had searched unsuccessfully for the narrator’s locker several different times and had been too shy to ask someone where it was. H. He had first noticed the narrator in study hall but had been uninterested in her until she introduced herself. J. He had apparently taken notice of the narrator at school and had come to like her but felt nervous about introducing himself. F. close to being realized because of her father’s good job. G. somewhat uncommon among the other residents of the family’s building. H. ones she has heard about many times but that seem far off and remote to her. J. ones she shares with her parents and longs to fulfill. A. listened in on so many of their conversations over the years. B. helped take care of the old woman’s flowers after the woman’s husband had died. C. been able to watch them as they moved through their entire house. D. regularly observed them during their mealtimes. Want more ACT Reading skills articles like this one? Start with our vocab-in-context article - more will follow over the next few weeks. Not sure what the best way to approach ACT Reading passages is? Read our article and figure out which one is right for you. Where can you find official ACT practice tests to hone your newly-acquired knowledge on? We can help you – go to our complete list of official ACT tests. Thinking you need more structured help to master little picture questions? Maybe a test prep platform customized to you is the answer for you. Try PrepScholar risk-free for five days!